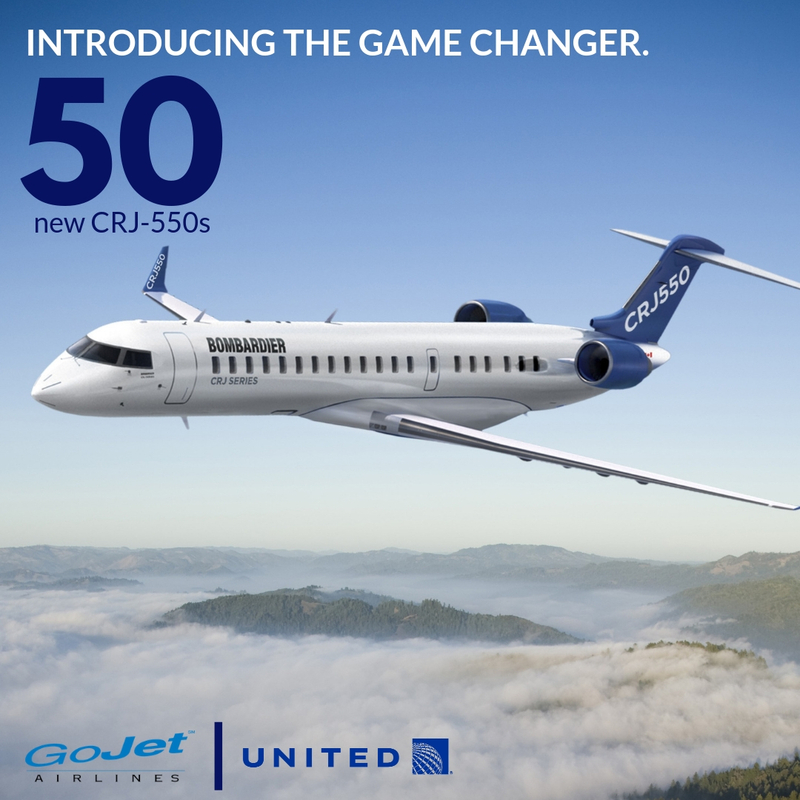 We're proud to share that 50 CRJ 550 aircraft are arriving in 2019-2020! GoJet will fly this premium 50-seat regional jet on behalf of @United. The CRJ 550 is the first of its kind, boasting an unparalleled experience for passengers.